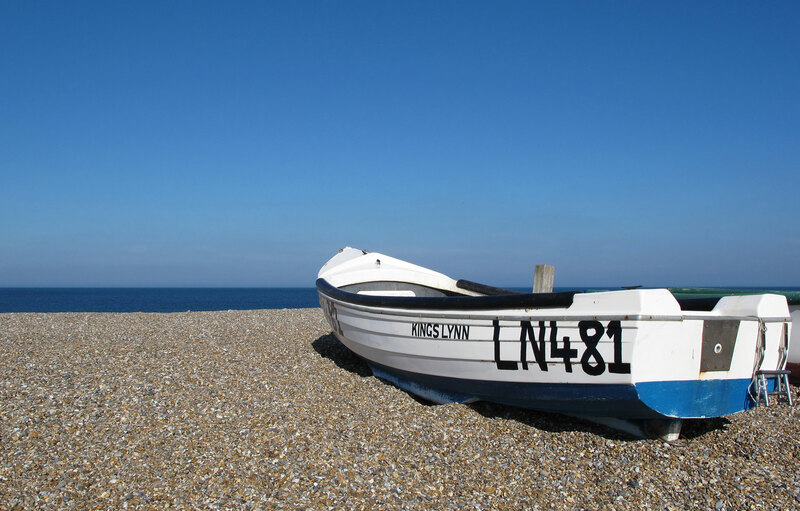 The North Norfolk seaside has won 3 awards in the Coast Awards. Holkham beach has been awarded the Best British Beach for the third year running, Cromwer Pier has just been voted ‘the best loved pier in Britain’, and the Norfolk Coastal path which links Holkam to Cromer has also received an award. 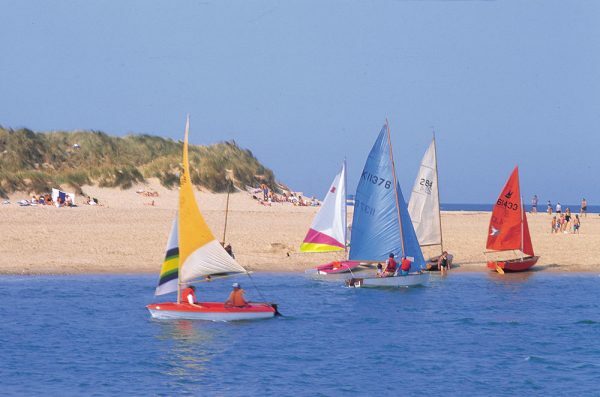 Wells and Holkham and within a few miles of our holiday cottages. 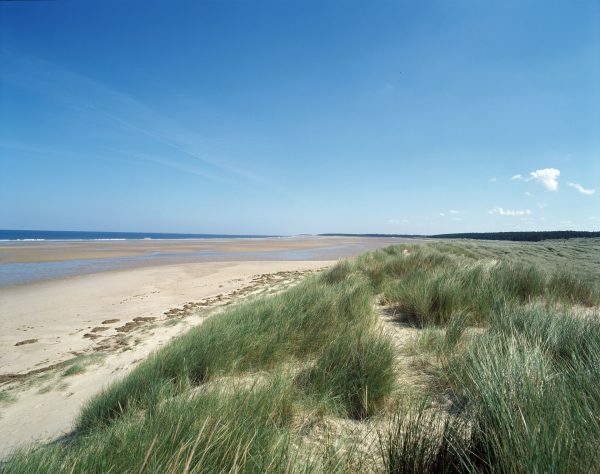 The beaches at Wells-Next-The-Sea and Holkham are very beautiful sandy beaches with gentle gradients and sand dunes. The beach at Wells-Next-the-Sea is a great place to walk on a bright winter’s day. The pinewoods provide shelter from the wind. Just the place to walk off a large lunch from the Victoria, or fish and chips from Plattens on the Wells quay. 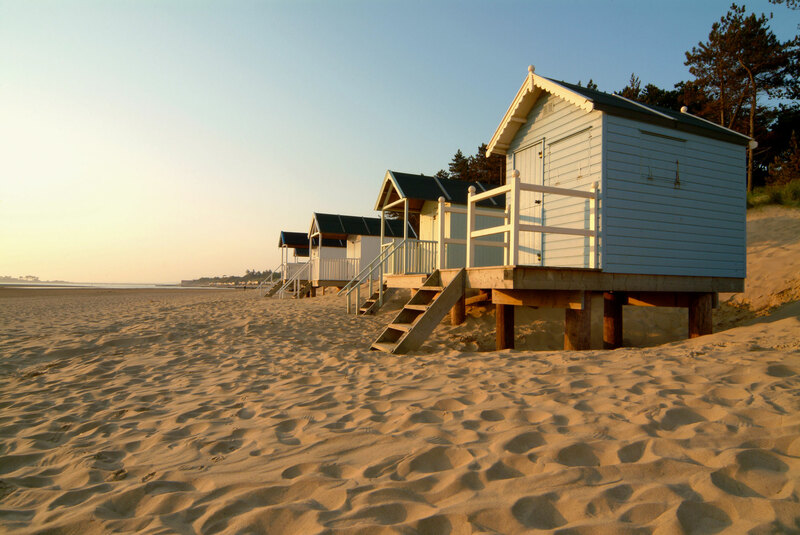 Beach Huts – Accessible from Lady Anne’s Drive or the Wells-Next-The-Sea beach car park. Turn left on the quay and follow the road to the Pinewoods Caravan Park and car park. It is then a short walk through the pinewoods to the beach at Wells-Next-The-Sea. There is also an accessible boardwalk at Wells for people using wheelchairs. Holkham beach can be reached either from Wells-next-the-Sea or at the other end from Burnham Overy Staithe where there is a footpath. The walk to Holkham beach takes a good half hour but bikes are allowed. 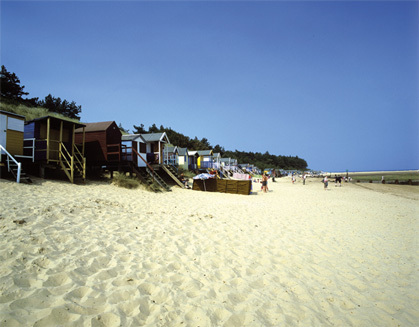 Alternatively Holkam beach can be reached in the middle from Lady Ann’s Drive opposite to the Victoria Hotel and restaurant owned by the Holkham estate. Charges are made for parking at Lady Ann’s Drive and Wells-Next-The-Sea. Parking is free at Burnham Overy but beware of high tides if parked on the hard. Brancaster beach is often visited by young families as the tide does not retreat quite as far as it does at Holkham. Parking is adjacent to Brancaster beach. Follow your visit to Brancaster with a visit to the White Horse and watch the sun go down across the marshes. (Child friendly it is advisable to book at weekends and in season). 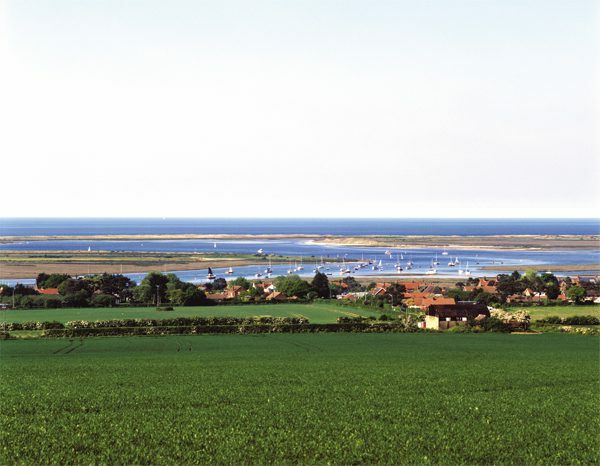 Brancaster is noted for its coastal flora and the roman site of Branodum. Moving along the coast towards Sheringham there is the picturesque village of Blakeney. 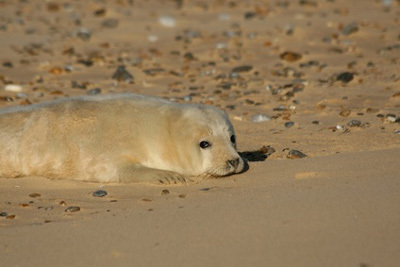 You can take a boat trip to see the seals at Blakeney point from the harbour quay. An excellent bacon sandwich and cup of tea can be bought from the caravan on the quay. Because of their very gentle gradients the beaches in North Norfolk have rapidly rising tides, and sometimes strong currents. Isolated sandbanks can quickly be cut off by incoming tides. Please be aware of this and watch small children at all times.